Painted during a triumphant visit home from Paris in 1897, after the French government had purchased his Resurrection of Lazarus, Henry Ossawa Tanner's portrait of his mother is both a tribute to Sarah Elizabeth Miller Tanner, the central, stabilizing figure in her large and distinguished African American family, and a celebration of her son's recent professional success. In its composition Tanner's work refers to the world-famous image by another American: Whistler's Arrangement in Gray and Black No. 1: Portrait of the Artist's Mother of 1871 (Musée d'Orsay, Paris). That the gentle, reticent Tanner had symbolically placed himself in the company of the flamboyant and controversial Whistler is the kind in intellectual joke that would have been appreciated by his family. The painting also stands as a reminder of Tanner's success in his chosen career, in which he had persevered despite initial opposition from his parents. 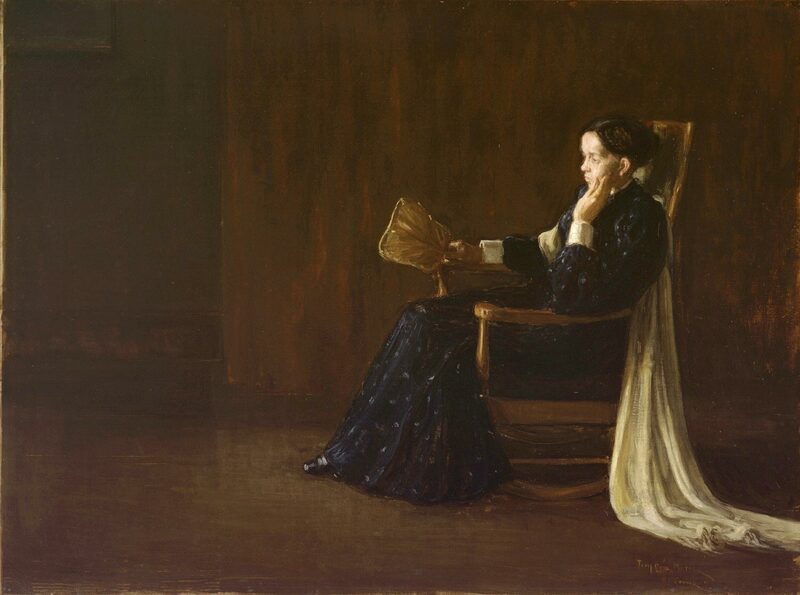 Tanner's portrait of his mother has none of the cool austerity of Whistler's picture, however. Instead it is an affectionate portrayal of a strong, sensitive, thoughtful personality. Darrel Sewell, from Philadelphia Museum of Art: Handbook of the Collections (1995), p. 295.